It’s a simple enough idea. Take something good (Berkshire pork bacon) and make it even better (add sugar and spice). If you can resist gobbling it up right out of the oven, you’ll have a smoky, sweet treat to play with. Coat your bacon in the sugar and spice mixture, lay the strips on the rack and bake in the oven at 350 degrees until the bacon becomes golden and crispy. Now it’s candy. Let it cool and then try adding it to things. For instance…candy breakfast. Try to stop eating these. We dare you. This completely addictive snack will vanish at your next party. So make a big batch. And if there is room for dessert, we recommend a candied bacon sundae. How about you? 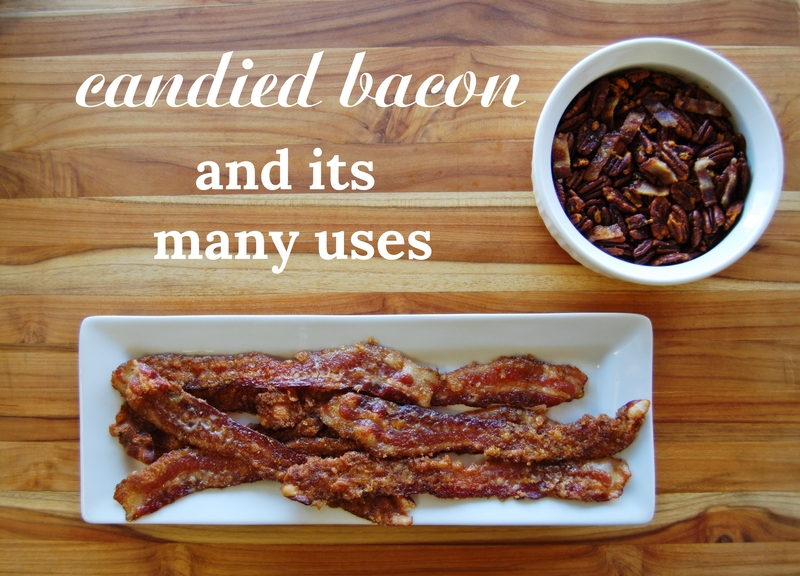 What do you like to do with candied bacon?